It is much like ridding a bike. Self assurance comes with practice and time. 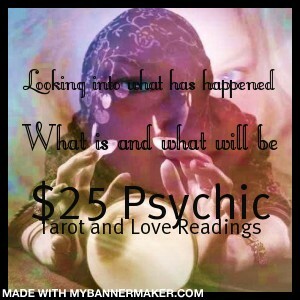 Being a first time psychic reader takes practice. New psychics tend to be skeptical of using their gifts and question their accuracy in their readings, that is why it is advisable to practice on friends and family for some time to not only learn but to build self esteem and a sense of style which is a must in the high demand world of psychics. I personally suggest giving free readings for some time to create a fan base alone with avoiding unsatisfied customers if you are having a bad day reading. Professional behavior is a must when expecting to be treated like a professional; it is what separates your readings for friends from reading for a client. Professionalism comes from your delivery and your self esteem, you have to believe that what you are being asked to relay to this client is meant to be. It is your job to not only give this information but to be sensitive to the client’s feelings in the process. Communication is important and being understood and being seen as comfortable in diversity by the client can make a difference in a satisfactory reading and a loss. You must be just as comfortable talking with a millionaire as a pauper and just at easy speaking with different age groups as well. If you are like most psychics this is not just a choice you made to be psychic or to be in service with your gift. To be psychic is in many ways a curse and in others a blessing I like to compare the need to read like a craving that can not be satisfied no matter how often you read for people there is always a constant desire to help more. You are never closer to your creator then when you are a tool in his hands. And it is that sense of purpose and meaning that gives you a feeling of completion. So relax and do your best, all else will fall into place and as you learn so your abilities will also grow and soon you will be a seasoned veteran. Can I learn to be psychic? Whether you believe you can only be born psychic or that everyone in the world has psychic powers, the fact is that the realm of paranormal and unnatural are everywhere & almost everyone can learn to be a psychic. Believers in natural born psychics’ call them gifted and according to this flow of thought people are born already capable to perform psychic acts with little if any effort… OK only in super hero magazines people! We all have to work at our craft whether you use clairvoyance / telepathy, cold reading, psychic reading, dream interpretation, palm reading, astrological reading and tarot card reading are just some of the abilities of a psychic. We all have the capacity to connect into ability but not all have the desire to look past their world, their life and see what is beyond. And that is ok. Some are thinkers and others are doers. There is no disgrace in either. Many want to better be in touch with the unknown either for profit like psychic hotlines or for sole personal reasons. First educate yourself. Tarot cards: are tools of divination that create a rapport with the handler through messages and pictures telling of past, current and future events a person needs counseling on. Numerology: points to numbers and calculations of birth to predict a person’s personality and life path. Astrology and horoscopes: relies on the movement of planets and celestial bodies using star signs and or zodiac signs to show a life map of when, where’s and why of future events. Crystal Ball: Simply helps a clairvoyant concentrate on a subject instead of distractions around them when reading. There are other ways to practice the skill of psychic ability and that is through meditations. Meditation is thought of as an eastern practice or new age, metaphysical, but do not disregard the Native American Indians sweat lodges as a form of controlling ones body to better control the mind. Relax and play with your style all else will fall into place. It is all a matter of time. Trust yourself and the words that come out of your mouth. Think of it like channeling the message that need be. Best psychic tool is your self confidence !